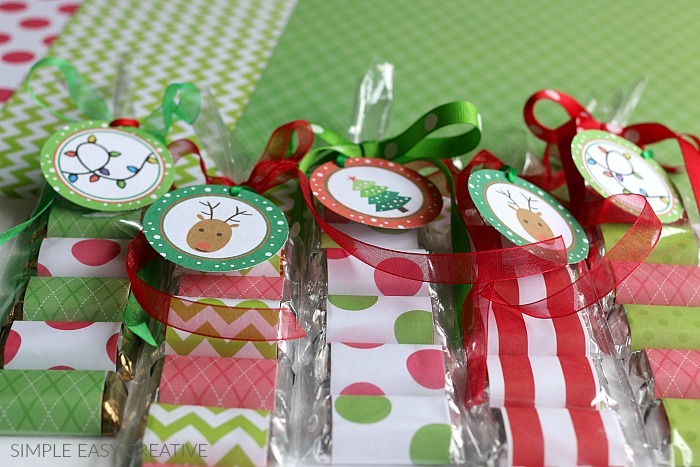 These adorable Christmas Treat Bags take minutes to make and yes, they are super easy. 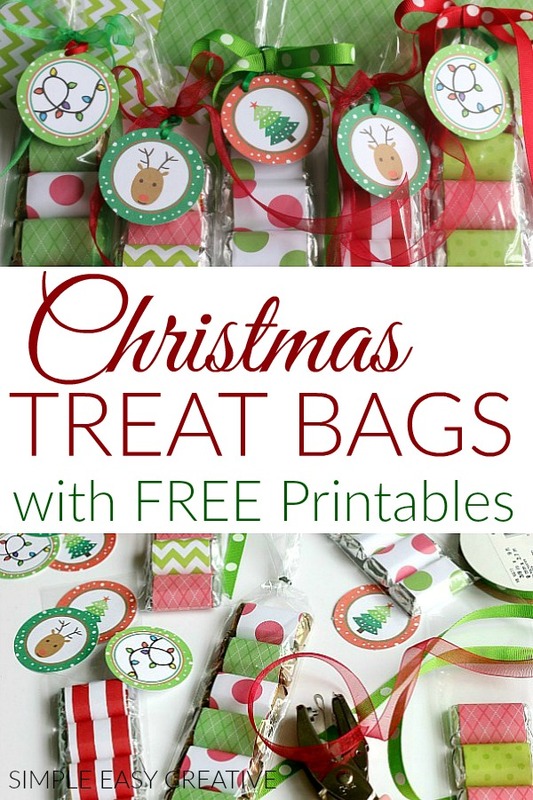 Dig into your crafting supplies, print out the FREE Christmas tags, grab a bag of mini candy bars and you are set to make these treat bags for a quick and easy Christmas gift. Your to do list is lengthy – I know. You are short on time – I know. You have lots of people that you want to give to – I know. Guess what? I have just what you need. Do you recognize them? 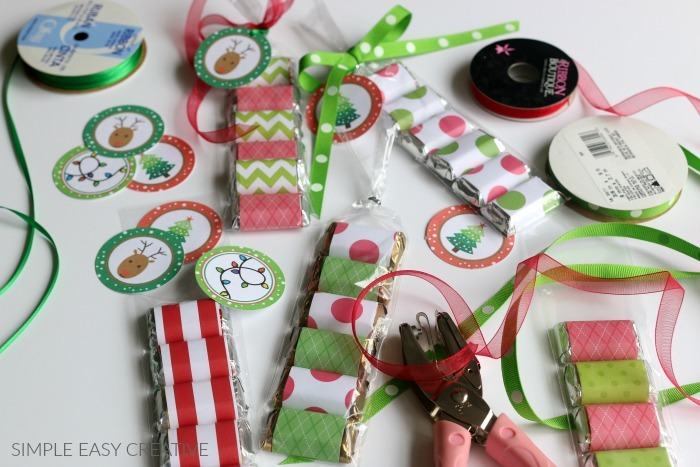 They are similar to the Valentine Treat Bags I shared a couple years back, they are so fun, I just had to do more for Christmas! Like most of you, I have lots and lots of craft supplies, and most of them are small pieces of this and that. I also have stacks of scrapbook paper. 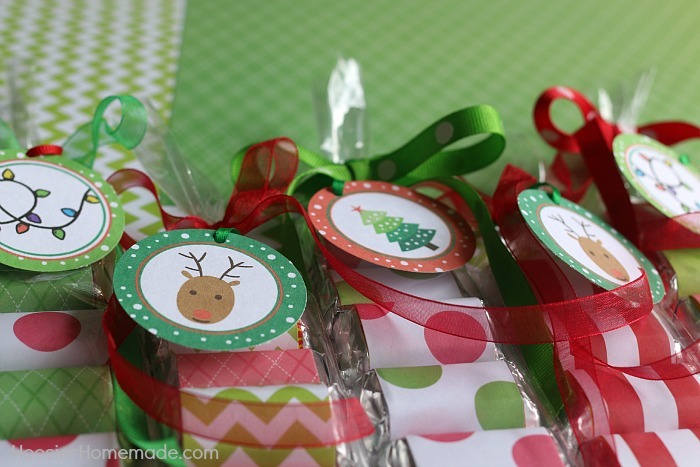 So today we are using up all those little pieces of paper and creating these darling treat bags. 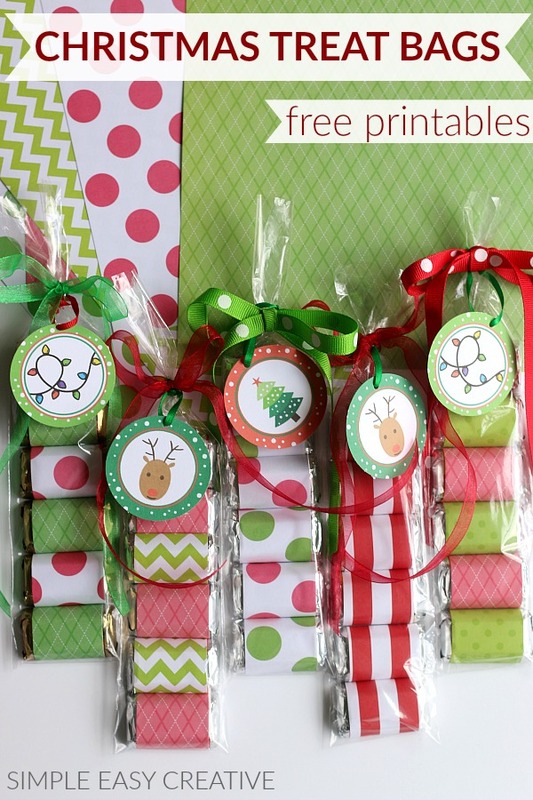 They are perfect for classroom treats, teacher gifts, neighbors, the postman, UPS driver, friends or maybe that person you need a small gift for. 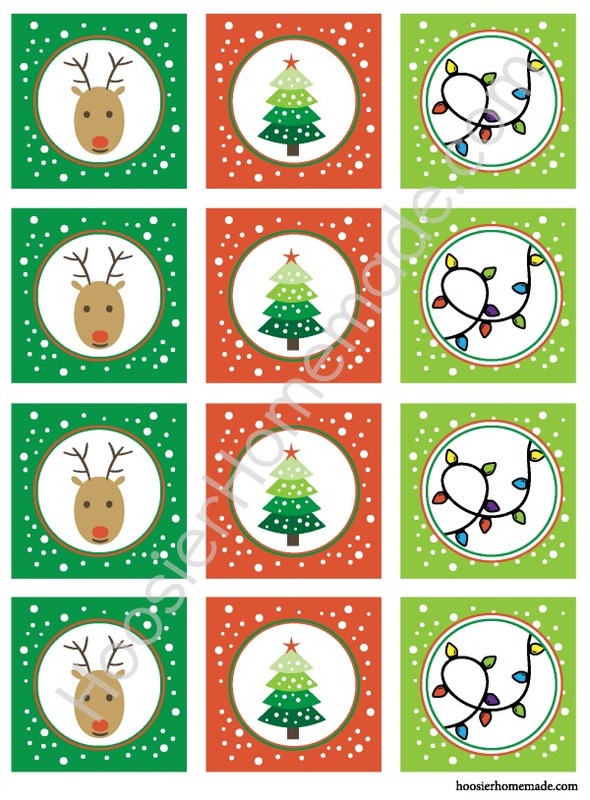 And don’t forget to grab the FREE printable Christmas tag! They would also make adorable Cupcake Toppers! For step by step photos – head on over to the Valentine’s Day Treat Bags post. Aren’t the Christmas tags adorable? You know, you can also use them as cupcake toppers.